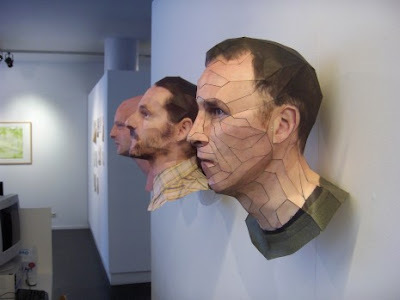 These are 3 dimensional photo-realistic paper portraits and sculptures created by B Simons. 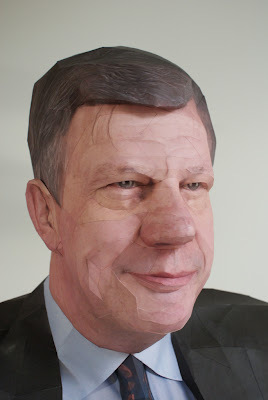 Paper portrait of Mr. I Opstelten, Mayor of Rotterdam 1999-2008. Simons spent 2 months working on this portrait, well 248 hours in total. 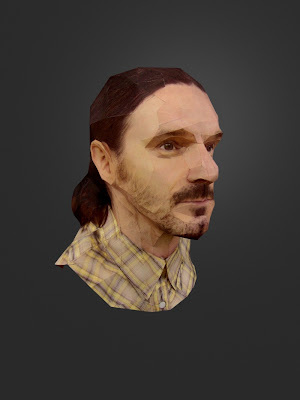 Here is a portrait of H Hamelink and because of his distinctive characteristics, this paper model turned out very realistic. Paper model of Hamelink has been featured in a book about 3d graphic art Tactile and Octobers 2007 edition of Bright journal.